Please make a donation We're about to start fit-out work - a donation will be helpful! 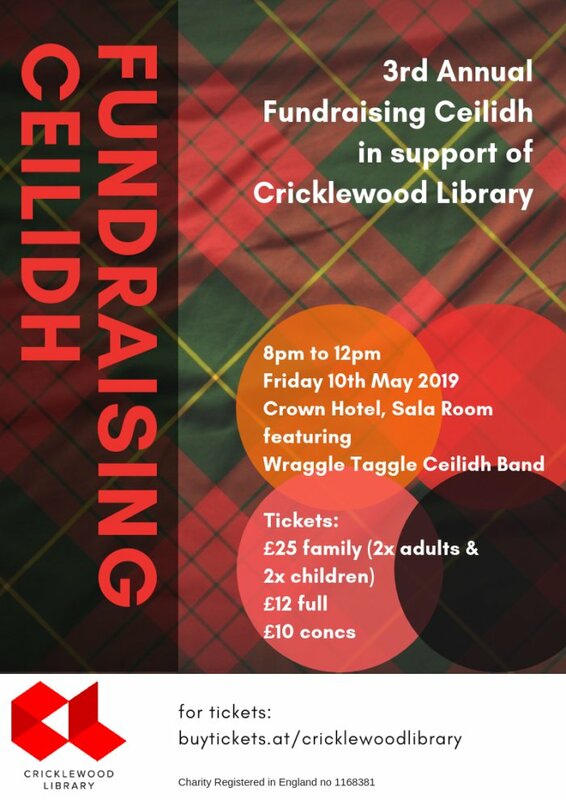 We're back in the Crown's lovely Sala Room (on the mezzanine floor, with balcony overlooking the foyer) 142-152 Cricklewood Broadway, Cricklewood, London NW2 3ED. 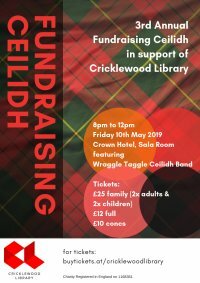 The tunes and caller will be provided by the amazing Wraggle Taggle Ceilidh Band, who've done such a fab job in previous years. Doors 8pm, band on stage 8.30. Don't be late!